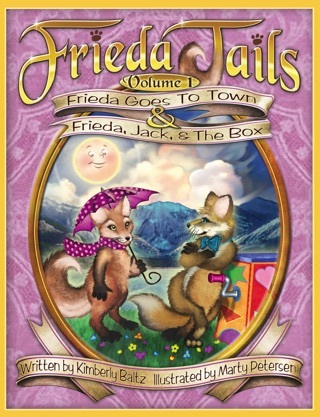 In ‘Frieda Goes to the Zoo’, Frieda the Fox and her friend Wendy the Wolf travel to the city to visit the zoo one night. They meet all kinds of interesting animals and have fun getting to know them. When they meet Tina the Tiger, they learn an important lesson about taking care of the places where wild animals live. 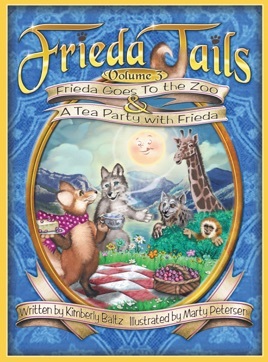 In ‘A Tea Party With Frieda’, Frieda and her daughter Fannie are invited to attend a tea party with the author and her mother. They enjoy a pleasant afternoon, drinking tea and eating cake, on top of a hill overlooking the lake. They all help clean up, then play games together before going home. This story teaches children the importance of manners, making new friends, and the value of animals as our friends. Join Frieda on another adventure! 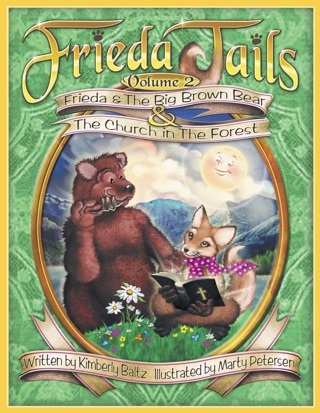 Look for other books in the Frieda Tails series at www.friedatails.com.